By Bailey Pribbenow. Jul 4, 2017. 9:00 AM. Happy 4th of July! Today marks the anniversary of the adoption of the Declaration of Independence, the event that triggered the American Revolution, the Articles of Confederation, and the Constitution. In honor of the festivities, here’s a look at five all-American reads to get you in the mood for some fireworks. This set of nine books by Laura Ingalls Wilder is an iconic and timeless addition to American literature. Based on her own experience and upbringing on the American frontier, Wilder shares a unique glimpse at what it was like to live as a pioneer in America in the 1800s. Wilder's famous series is cherished by readers of all ages. The Ingalls family exemplifies the connection between self-reliance and the preservation of freedom as a pioneer family, a lesson all Americans can take to heart. These quintessential novels are about as American as they come. 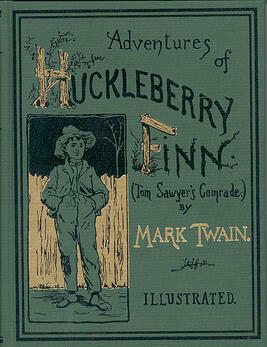 Written by Mark Twain in 1876 and 1884, these two books depict the stories of two young boys, Tom Sawyer and Huckleberry Finn, and their experience of growing up on the Mississippi River. Twain’s unabashed, satirical remarks on entrenched social attitudes continue to spark discussion among readers today. Written by David McCullough, 1776 is a story of excitement and drama as it depicts the account of the year of our nation’s birth from both sides of the Atlantic. McCullough shares a powerful tale of Americans in the ranks during the year of the signing of the Declaration of Independence. McCullough details how the military, with a focus on George Washington's leadership, shaped America’s survival and the hope for independence. 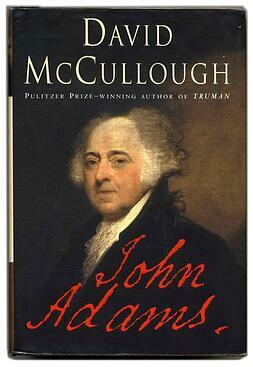 Written as a companion to his biography of John Adams, McCullough’s 1776 is a profound landmark in historical literature and American history. This contemporary, compelling novel, written by bestselling authors, Stephanie Dray and Laura Kamoie, focuses on the untold story of Thomas Jefferson’s eldest daughter, Martha “Patsy” Jefferson Randolph, drawing from thousands of letters and original sources. Rich in research, this book reveals the story of the woman who kept the secrets of one of our nation’s most mysterious founding fathers and the devoted daughter that helped shape his American legacy. So on this national holiday, while you sip your lemonade and watch the parade, why not flip open one of these all-American books or another one of your patriotic favorites? They are sure to inspire and captivate. What books do you love to read this time of year? Let us know in the comment section below. A woman who went from growing up watching the Minnesota Twins to watching twins of her own in America's Dairyland. Makes time to sit down with a good book and a hot cup of coffee.